The damage to the kidneys can often be caused by the use of various drugs, so we tried to classify them today and reveal the top ten, at least according to types: antibiotic, analgesic, etc. Antibiotics, such as ciprofloxacin, vancomycin, methicillin, sulfonamides. .Analgesics, like acetaminophen, as well as non-steroidal anti-inflammatory drugs (NSAID): ibuprofen, aspirin, naproxen, etc. Antiviral drugs, such as indinavir and tenofovir, both used to treat HIV, and acyclovir (brand name Zovirax) which is used in the case of herpes infection. Anticonvulsants, like trimethadione (brand name Tridione), used to treat seizures and other conditions, and phenytoin (brand name Dilantin). COX-2 inhibitors, such as celecoxib (brand name Celebrex). 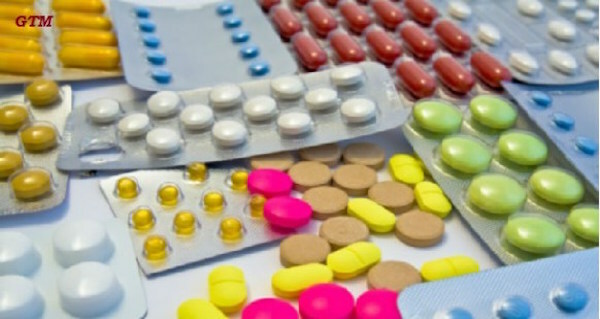 Two drugs, rofecoxib (brand name Vioxx), and valdecoxib (brand name Bextra) have been withdrawn from the market due to cardiovascular toxicity. They fall into the special class of NSAID which were intended to be safer for the stomach, but pose the same threat as other NSAIDs for kidney damage. Chemotherapy drugs, like quinine, interferons, cisplatin, pamidronate, carboplatin, tacrolimus, cyclosporine, mitomycin C, bevacizumab; and anti-thyroid drugs, like propylthiouracil, used in the treatment of an overactive thyroid. High blood pressure drugs, including captopril (brand name Capoten). Heartburn drugs of the proton pump inhibitor class, such as pantoprazole (brand name Protonix), omeprazole (brand name Prilosec), esomeprazole (brand names Nexium, Esotrex), lansoprazole (brand name Prevacid), and rabeprazole (brand names Rabecid, Aciphex). Lithium, used in the treatment of bipolar disorders. hydroxychloroquine and chloroquine, used in the treatment of malaria, rheumatoid arthritis, and systemic lupus erythematosus.